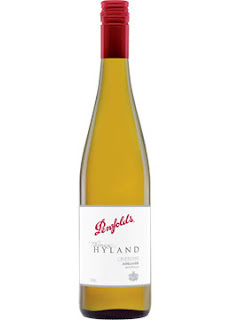 The 2007 Penfolds Thomas Hyland Riesling is from Australia's Adelaide appellation which is a cool Mediterranean climate that produces quality white wines. On the nose this wine boasts aromas of lemon-lime citrus peel, granny smith apple, touches of stone fruit and slight hints of a petrol type component. Zesty and spritzy on the palate with a touch of residual sugar, hints of lime peel, tangerine, mandarin, and flowery honeysuckle type flavors. Good sharp acidity makes this a wine worthy of pairing with many light food dishes, like chicken and various seafood combinations. I like this wine because of it's simplicity and true varietal character. The wine is balanced, sleek, and worthy of 88 points. wow..i love yr post.. i have just started to drink wine and i heard it is good for our bodies.. i would like to come here more often to learn more..
Wine is and can be good for your physical health but it's more about your mental health and enjoying life and drinking and eating food and wine that tastes good and stimulates your mind. I think the benefit of drinking wine comes from drinking red wine, not so much from white wine. But I also agree it is the mental satisfaction to enjoy them!